In July 2009, Roy and Sheila Bowers refinanced the mortgage on their suburban ranch home in Topeka, Kansas. The couple wanted to take advantage of the low interest rates that were all the rage at the time. Roy, a truck driver, and Sheila, a former hotel housekeeping supervisor, knew their new loan from Wells Fargo would enable them to save $198.86 a month - a nice chunk to help with gas and groceries. But what the Bowers never imagined was that their old loan, the one Wells Fargo told them was paid off, would resurrect itself, trashing their credit report, scotching their son's student loans and throwing the whole family into foreclosure. All, they say, even though they didn't miss a single mortgage payment. More and more, homeowners say that mortgages they thought were dead and buried are springing back to life, sometimes haunting them all the way into foreclosure. "It's the most egregious manifestation of an industry that's seriously broken," said Ira Rheingold, a lawyer who is the executive director of the National Association of Consumer Advocate. Diane Thompson, an attorney with the National Consumer Law Center, says she has defended hundreds of foreclosure cases, and in nearly all of them, the homeowner was not in default. "The record-keeping on the part of the mortgage servicers is not to be trusted." The problems grew from a lot of sloppy recordkeeping that began during the housing boom, when Wall Street built a quick-and-dirty back-office operation to process mortgages quickly so lenders could sell as many loans as possible. As the loans were later sold to investors, and then resold around the world, the back office system sidestepped crucial legal procedures. Now it's becoming clear just how dysfunctional and, according to several state attorneys general, how fraudulent the whole system was. Depositions from "affidavit slaves" depict a surreal, assembly-line world in which the banks and their partner firms hired hair stylists, fast-food kids and Wal-Mart floor workers, paying them $10 a day, to pose as bank vice presidents, assistant secretaries and corporate attorneys. These "robosigners" became a national sensation in the fall of 2010 when it was revealed that they faked titles, forged documents and backdated affidavits so they could make up for the bypassed procedures and foreclose on properties. They passed around notary stamps as if they were salt. They did all of this, they testified, without verifying a single word in any of the documents - as is required by law. And it was all done, they say, to foreclose on as many homeowners as fast as possible. 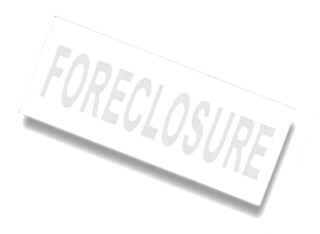 No one collects statistics on wrongful foreclosures, or how many people are facing the phantom mortgage debts. But as the industry enters its fifth year of unwinding its mortgage morass, consumer groups, homeowner attorneys and foreclosure-fraud investigators say they are seeing more cases where people who don't owe the banks a dime are getting ensnared in the same hell as those who have missed payments. They add that such problems are likely to intensify. Former industry employees have testified that they knowingly pushed through foreclosures on the wrong people. It all casts a pall over a housing market in worse condition than it was during the Great Depression. By some estimates, 12.5 percent of U.S. homes with mortgages are either in foreclosure or the loans are at least 30 days past due, representing about $1 trillion in value. "This is an epic problem that the economy hasn't even begun to digest," said Florida foreclosure analyst Lisa Epstein. In some cases, mortgages that were supposed to die off in a refinancing are popping back up, while in others, the loans were paid in full. Homeowners who pay off their houses through bankruptcy programs are also falling prey. So are homeowners who never even had a mortgage to begin with. Homeowners say the banks' repo men sometimes even show up at work. Banks also hector them with threatening letters and phone calls. "It scared the hell out of him," said a Houston lawyer whose client was the target of such efforts. "He was absolutely spooked," lawyer Barry Brown said. Vietnam vet Dwight Gaines fell behind on his payments on his Birmingham, Alabama, home. Gaines paid off his entire mortgage, plus all the fees and expenses he owed the bank in March 2010, as a part of a Chapter 13 bankruptcy plan. But Bank of America kept sending Gaines notices that he still owed $6,842.37. Nearly two years later, Gaines is still fighting the bank in court. "In my experience, if I had not sued Bank of America, they would have eventually placed Mr. Gaines in foreclosure although he had completely paid his mortgage," said Gaines' lawyer, Wesley Phillips. Bank of America spokeswoman Jumana Bauwens said the bank is working to resolve the Gaines situation. She also said that "these situations pre-date a review of our foreclosure procedures which took place in the fall of 2010. At the time, we identified areas of our process that needed to be improved, and we have been making those improvements." The reincarnating mortgage is only the latest development in the megabanks' mortgage debacle, a scandal that has made them the target of a mounting pile of investigations and lawsuits. Though a settlement with most of the U.S. attorneys general may be imminent, a rogue group of AGs has peeled off to launch their own investigations.One of those AGs, New York's Eric Schneiderman, is a part of the U.S. Justice Department task force announced by President Obama in his State of the Union address on Tuesday night. Up until Obama's announcement, the federal government's response to the alleged financial misconduct was in the form of an independent review of the banks overseen by the federal Office of the Comptroller of Currency. But critics have labeled the OCC review as a farce rife with conflicts of interest. The OCC spokesman, Bryan Hubbard, disputed that claim, saying the OCC has gone to great lengths to ensure that the independent consultants hired by the banks to review their procedures would report to regulators, not the banks. "During the selection process of the independent consultants and law firms, regulators rejected some proposed consultants and law firms to prevent conflicts of interest," said Hubbard. Such reviews are supposed to gather information from homeowners like Jennifer Wilson, a former nursery school teacher from Philadelphia. Wilson settled a wrongful foreclosure case with Wells Fargo in June 2010. That month, court records show, Wells Fargo filed a satisfaction of mortgage document noting that the $8,000 loan on Wilson's home had been paid in full. But more than a year later, on Dec. 8, 2011, Wilson, who is disabled and lives below the federal poverty line, answered her door to see a process servicer brandishing foreclosure warning papers from Wells Fargo. The bank's letter warned Wilson that she owed 57 months of late payments, plus expenses, totaling $18,407.55. If she did not pay within 30 days, the bank said, it would sue for foreclosure. "I thought I'd been punked," said Wilson. Even more bizarrely, one day later, a different process server from a different company showed up on Wilson's door and handed over the exact same papers Wilson had received the day before. "We see a lot of cases like this, where they are trying to collect even though there is no mortgage."